Social media has emerged as an effective marketing platform for businesses. Business owners diligently invest in social media managers, social media software and social media agencies to get the results they are hoping for. A well-executed social media marketing plan can build brand awareness, extend the reach of a business and bring massive traffic back to a website. Therefore, it is extremely important to measure social media ROI to know if there is rewarding results on investments. But now the question arises, why & how to measure social media ROI? The exact outcomes of social media ROI will depend on the objectives and tactics of the company. But simply stated, it means how much the company is getting back from the time, money and resources invested in social media marketing. Measuring social media ROI is critical because it will let the business know what they are doing, what results they are getting and if it is working. Moreover, measuring ROI will also help analyze where you can make improvements, know which channels are bringing more traffic, and how tp meet your long-term social-media goals. 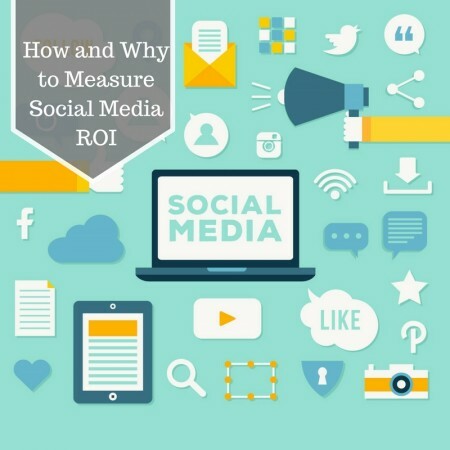 There are different ways to measure social media ROI. Below are some of the leading ways which you can measure your ROI on social media marketing. Defining Your Goals and Objectives- Before investing in social media marketing, define business goals and objectives. Know what the purpose of the investment is and what you want to achieve. Knowing business goals and objectives will form the foundation of your social media strategy. Segment Your Customers- Another way of measuring social media ROI is to segment your customers. You can segment your existing customers to target them with different marketing strategies and notice the different outcomes. You can also get feedback from your existing customers to know what they have to say about your products or services and how you can make improvements. Also, look for the ways that can influence the purchasing decisions of the customers. Tap Right Platforms- Determining the right platforms are important to calculate your ROI. Find where your audience spends your most of the time so that you can target them effectively. Figure out which platforms they prefer, how much time they spend there and what their interests are. By knowing all these things, you can develop an effective strategy to grab their attention. Track Campaigns- There are various social media tools available that can help you track the time spent, cost of ads, etc. As you launch social media marketing campaigns, we advise you to use various analytics tools that would help you know the performance of campaigns. These are different ways using which you can measure social media ROI. Businesses can also use social media reseller programs to manage their social media accounts and keep a record of social media performance effectively. These programs are highly beneficial in enhancing the awareness of business’ brand, bringing more customers and improving the bottom line.